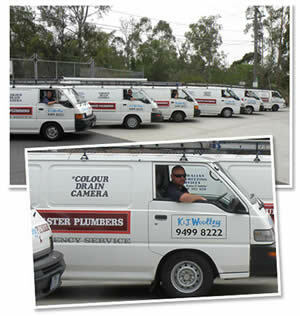 Woolley’s Plumbing Pty Ltd (K & J Woolley) is a family company with over 50 years of experience in Domestic, Commercial and Industrial plumbing and heating. Our professional team can assist with all plumbing and heating problems – fast and efficiently with our fleet of service vehicles and team of experienced plumbing staff. We specialise in providing professional maintenance plumbing services – 24 hours a day, 7 days a week everywhere in greater Melbourne. Whether it is a broken pipe, blocked sewer, leaking roof or faulty gas appliance or indeed any plumbing problem – we can help. No job is too big or too small for Woolley's Plumbing. Our experience, equipment, technology and on-going training enable us to carry out any task our clients' require. Our long standing relationships with a broad range of suppliers ensures we are always stocked with sufficient quantities of the best quality materials required for all projects. Our Customer Service team use the latest information technology to keep track of our technicians at all times. This enables us to schedule appointments within realistic time frames and ensure our plumbers are always available to assist you. We’re committed to providing excellent customer service in all our dealings. Trust Woolley’s with your plumbing needs. We won’t let you down.